There are two types of detectors you absolutely need to have in your home: smoke alarms and carbon monoxide detectors. Both smoke alarms and carbon monoxide detectors can save your life, as they can detect an issue before you can. When it comes to fire and carbon monoxide, every minute matters. It’s also important to know where carbon monoxide detectors should be placed. 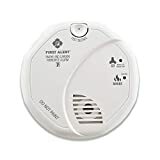 Many smoke alarms also include carbon monoxide detectors today, but you may be wondering whether a carbon monoxide can detect a gas leak. It can combust. Carbon monoxide can enter a home and start a fire. It can suffocate you. Carbon monoxide enters your lungs and binds to the areas of your lungs that are meant to take in oxygen. You may not even sense that you are suffocating. 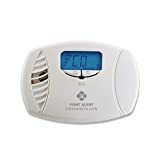 Many people can die in their sleep due to carbon monoxide poisoning. Carbon monoxide isn’t always noticed by even those who are awake and alert. Those who are poisoned by it may feel dizzy, unable to focus, or forgetful. They may attempt to take a nap rather than looking around for a gas leak but it is important to know how to check for gas leaks. A CO leak can also cause health issues over time. Homeowners should take special care to try to avoid carbon monoxide, through regular maintenance and inspection. 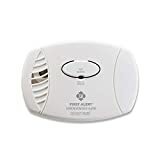 Many people have carbon monoxide detectors in their home to help alert them of the presence of this potentially deadly substance. While having this tool in place is certainly advisable, knowing how to react if a carbon monoxide detector is equally as important. Natural gas is different from CO because it isn’t a by-product. Instead, natural gas can simply leak into a home because a gas stove is malfunctioning or because a natural gas line is leaking. Natural gas is a fuel and is more flammable than carbon monoxide. The danger that comes with natural gas is primarily fire and explosion. However, natural gas can also suffocate you just as carbon monoxide does. Natural gas is less of a danger because it is not odorless. Most people will be aware that they have a natural gas leak because they will smell gas in their home. This often spurns them to action far faster than carbon monoxide, as they can identify there is a problem. Does a Carbon Monoxide Detector Detect Natural Gas? In general, most carbon monoxide detectors will not detect natural gas, as they are different types of gas entirely. Most fire detectors will detect carbon monoxide rather than natural gas. Again, this is because carbon monoxide is considered to be the greater threat: though natural gas is more volatile, it is also more easily detected without a detector. However, there are gas detectors that a homeowner can purchase that will detect a variety of different types of gas leak, for additional safety and security. These detectors can be a wise choice for those who have a significant number of natural gas appliances within their home, or those who have older gas-powered appliances that they believe could eventually become faulty. Gas leaks are incredibly hazardous, not only because of the fire risk they represent but because carbon monoxide can kill people without anyone even noticing that it’s there. Detection monitors are absolutely essential to a healthy and safe home. For more information about automating and installing detectors throughout your home, contact the experts at Protect America.